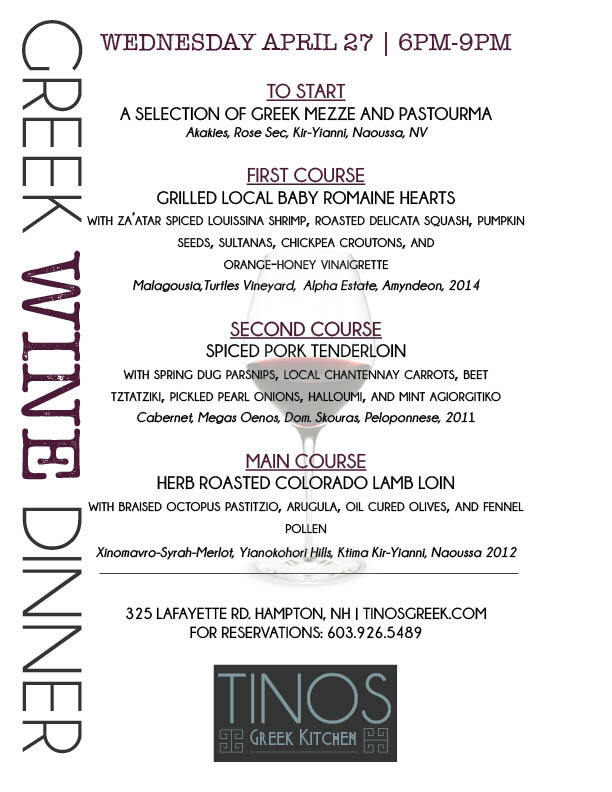 Tinios Greek Kitchen features an extensive wine list offering over 70 wines! We are extremely excited to be hosting our first wine dinner. Guests will enjoy a wine and appetizer reception to start; followed by indulging in a three course menu where each course is partnered perfectly with a range of MS Walker/Diamond Import wine selections; reservations are essential. $75 per person.